Life in Condom can’t be fun. I’m sure the most photographed attractions are the town’s welcome signs. Being a bunch of teenage boys, my french brothers have made a detour here for my benefit, so I have to show my appreciation. And just to save you a trip, here it is. Apparently there is no connection between the English word condom and the town. The French word for a condom is actually “préservatif”, which caused one of our group some embarrassment earlier in the trip. She had been in a discussion with her host french family about food preservatives, the use of these in New Zealand, and her own preferences. Unfortunately she guessed incorrectly that the French word would be préservatif. I heard that she was rarely without her phrasebook after that performance. Perhaps not surprisingly, Condom has no sister cities in countries where English is the first language, being partnered with Grünberg in Germany, and Toro in Spain. But the point of today’s trip is not to laugh at the beleaguered Condomites – we’re on our way to St Lary, high in the Pyrenees. 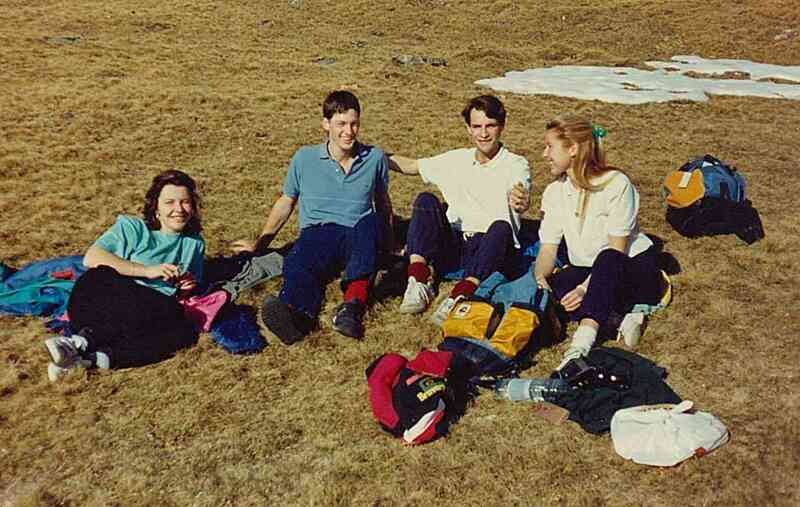 So after rapidly recording another set of articles from Time for my french sis-in-law and her pupils, now possibly speaking English with a New Zealand accent, we head south to the mountains on Boxing Day, 1987. Simple Minds is popular all over the world, and we give that cassette a real beating. It’s another great memory and a slightly surreal moment – loudly singing the french-accented version of “Alive and Kicking” in a Toyota van that is struggling with anything with a greater slope than a speedbump. At around 6pm, we stagger into town, drop off some skis, and head straight to the pub, where we’ve planned to meet some french friends. I’m introduced to the owner as a visiting New Zealander, and with rugby being so popular in these parts, I’m told how the local team had pulled off a coup by recruiting two All Blacks to play rugby for them over the previous season. It’s quite possible, as this was during the amateur era of rugby, and many All Blacks were spending the off-season in France. It was also pre-internet, and maybe they didn’t check their credentials thoroughly. I was shown the team photo – these guys with big smiles may have been New Zealanders, but that didn’t make them All Blacks. The owner of the pub was so proud – I could hardly ruin his story, and if they’d played well, everyone seemed to be happy. I nodded my approval, answered a few questions about sheep, and rejoined my group. I haven’t been here long, but I’m loving this part of France, this new mountain scenery, and after a few hours, I’m really loving this pub, but something is definitely missing. Isn’t it supposed to be Winter? I was expecting to see snow. 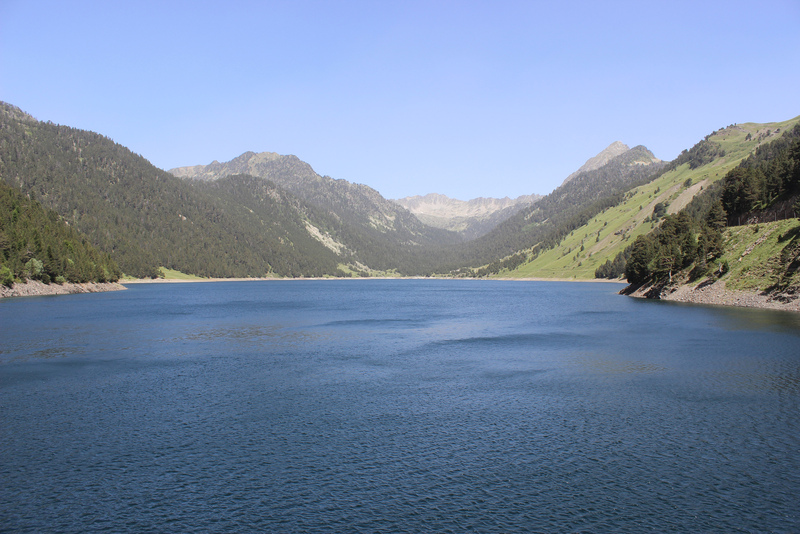 We have a week planned in St Lary and we’re visiting beautiful spots during the day, like Lac de l’Oule below, but there’s no skiing happening. One day is spent at the Col du Portet, although le Toyota needs some convincing about the climb. Every corner is a struggle, but we finally make it. 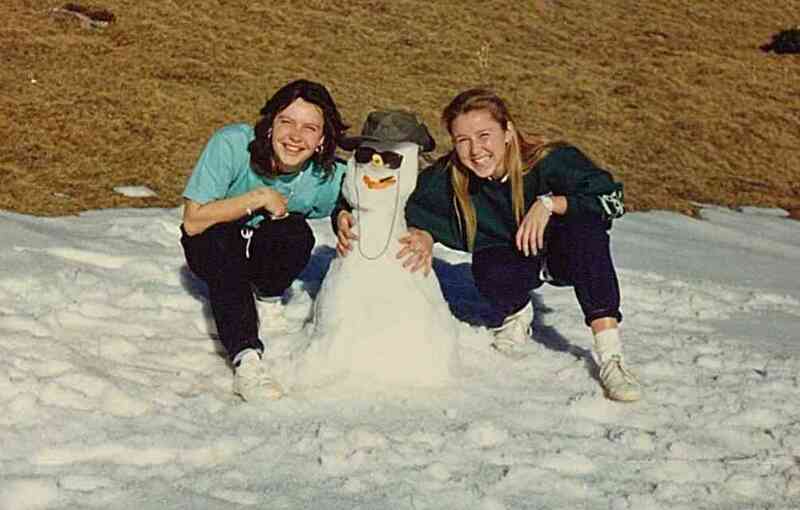 Here we find our first snow – and there’s just enough for my first ever snowman. Size isn’t everything. Neither is style. Or arms. I can’t recall why, but we have tennis racquets with us, and the small amount of snow is hard enough for a quick game of tennis on ice. We even manage some body surfing, but that soon starts to hurt and the novelty wears off. My french friends have never seen a winter like this, and at over 3500 feet up, we’re not supposed to be wearing t-shirts in late December. At least it makes for great picnic weather. Finally, on day five, we decide to go skiing, and I’m kitted up for our day at St Lary Espiaube. It’s great for me – I can’t wait to see another part of the Pyrenees, and I’m comfortable with the fact that I’m going to make the skiers in our exchange group insanely jealous. As it turns out, the slopes that are available aren’t suitable for a first-timer, so I’m not going to make my debut after all. I do manage to place skis on snow and slide without assistance, but I’m not sure that counts. I get a good look around, and take the chairlift up and down, and that’s fine with me. The only skiing injury is caused to my camera, which falls victim to a leaky bottle of Evian. No cameras live forever, and it’s not a bad place to take your final shots. We’re also in St Lary for New Years Eve, which starts with a game of Trvial Pursuit in French. 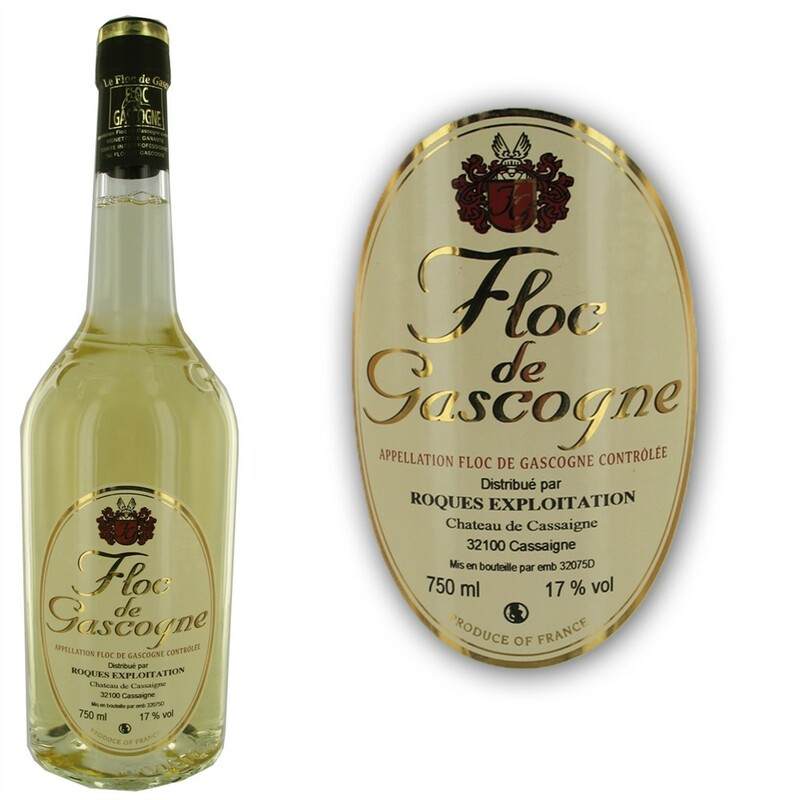 My performance is helped by an introduction to another fine apéritif – Floc de Gascogne. The fun continues with a very long night and early morning at Le Saloon, which sadly no longer seems to exist. Memories of these hours are becoming somewhat hazy, but it’s packed, hats and whistles appear at the appropriate hour, along with champagne and more Simple Minds. We meet up with a friend of the family, a DJ from Madagascar called Momo, who dedicates a french song to the kiwi at around 3am. We find our way home at 5am, and I’m the first ready for breakfast at 1pm. And so ends 1987. Of course, it’s not the end of this trip, but it’s been a pretty successful year. I’ve started it in a pub in Brisbane, Australia, and finished it in a pub in the Pyrenees. In between those very enjoyable outings, my first year at University has gone well, and I’ve met a lot of great people who I hope will be in my life for a long time to come. My musical taste needs work, but whose didn’t in the 80’s? I still can’t ski, and apparently still sing like a German, but I can work on that. Come on 1988! Let’s see what you’ve got. 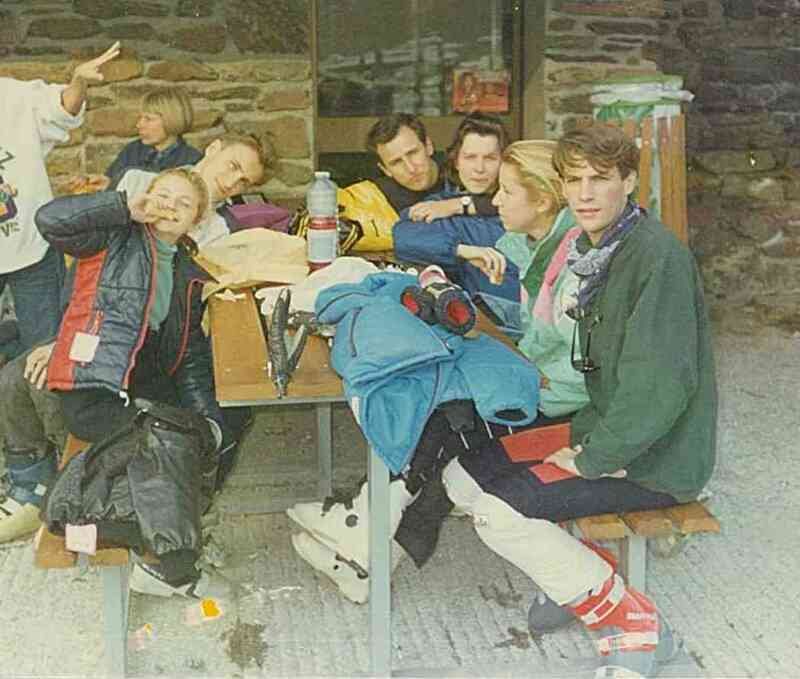 This entry was posted in Travel and tagged 1987, col du portet, espiaube, floc de gascogne, france, lac de l'oule, new years eve, pyrenees, saint lary, simple minds, skiing, snow, st lary, travel. Bookmark the permalink. It really was a fantastic experience – especially for me. I was living in New Zealand with my parents, and with no brothers or sisters. It was a chance to live in a completely different culture for a month with a bunch of wonderfully crazy people, and they invited me back for much longer the next time. Europe has so much that we don’t – I just wish it was a bit closer!